We were all keen to escape the heat of the Bungles and Kimberley and head for some respite on the coast. Broome was the obvious destination, and after our longest travelled day yet on our trip, some 803kms in a single push, we arrived late afternoon in Broome at the Cable Beach Caravan Park. Back to Cable beach van park …it is an interesting older style park full of coastal palms and other exotics, mixed with the seasons last holiday makers before the wet, a few round-country trippers like ourselves, backpackers and of course the omnipresent and often colourful permanent residents of the park. This location however was always going to be a favourite with the boys – with all the water, warm sun, large swimming pools, beaches, many (tourist’y) restaurants, lots of local wildlife to explore and capture and yep, even a ride a camel or two. As we were now on the coast, it was now time to think about fishing, especially when we get to the Ningaloo Reef in a few weeks. We purchased new fishing rods and reels for the boys and for safe keeping, I also bought a 4 x fishing rod holder to secure them to the tunnel boot roof of our Kimberley. Installing them though, after struggling to use self-tap screws to fix it into the fibreglass/timber substrate of the tunnel boot (which is also lined with pile carpet), our van park neighbour suggested using Sikaflex 11C. Never heard of it i said. “That 11C stuff will premanantely stick anything to anything,” Brian says to me with a confident smile. I had nothing to lose so I heeded his advice and headed down the local Bunnings and bought a tube and gun and glued/set the rod holders into position later that day. 24hrs later, they were nicely secured and job done, worked a treat! 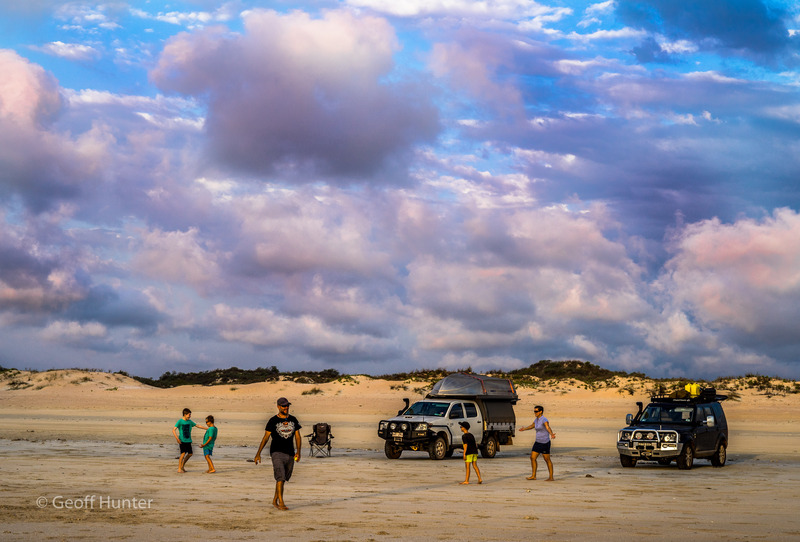 On a number of occasions we drove the D4 up and down cable beach as is very popular with 4WD tourer’s and local alike and watched the beautiful Indian ocean sunsets with a glass of wine and cheese, even whilst playing a game or two of beach Cricket. We also paid a visit to the Willie Bay Pearl farm 35Kms north of Broome off the road to Cape Leveque. Here we learned about the different pearls that are produced, how they are made, what makes a good pearl from an ordinary one and even got to see a salt water croc in one of the farm’s tidal estuaries. 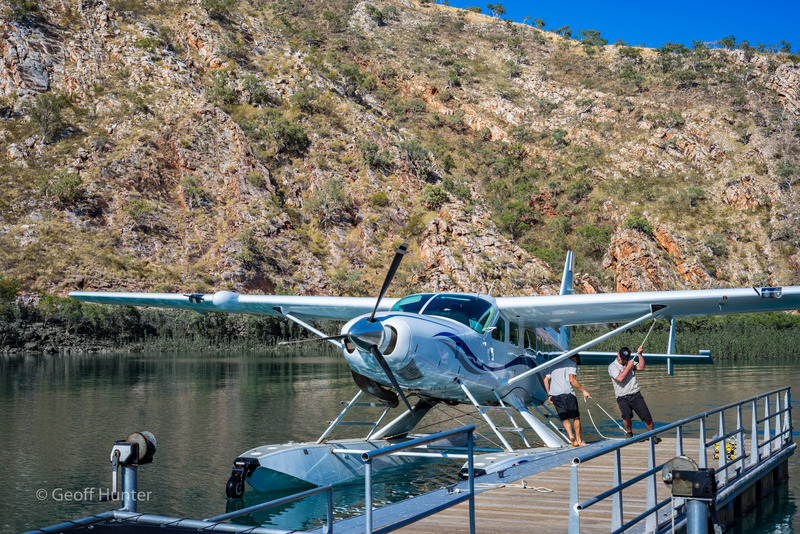 The standout highlight of the Broome leg was a seaplane flight up to Talbot Bay in the Kimberley to see the natural wonder of the Horizontal Falls. Our 12 seat Seaplane landed in a sheltered bay some 5kms from the Horizontal falls. The day started rather early at an eye popping 4.45am to be picked up at the van park and taken out to the Broome Airport for a 1.5hr seaplane flight to the falls. We arrived just before breakfast and the boys were asked if they would like to swim with some sharks before breaky – no arm twisting was necessary and they quickly donned the swimmers and jumped on in. 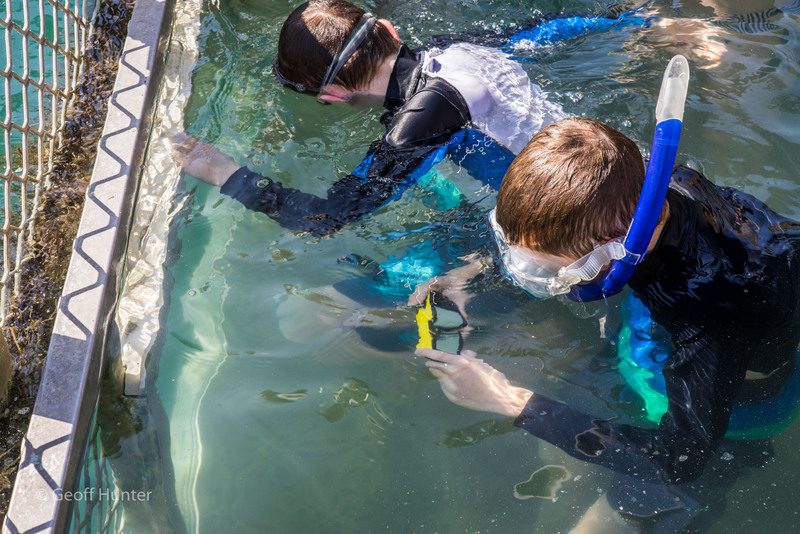 These were local sharks – nothing too dangerous (they liked fingers and toes – not limbs thankfully) and in the 35deg 7:30am heat, the boys loved it and Aidan even got to try out his new underwater camera he got for his birthday. The boys keenly watching the Sharks and other local fish species at the Horizontal Falls pontoon moorings. After a cooked breakfast, we were ushered into a big fast boat and taken out to the first Horizontal fall. Despite their name, the Horizontal Falls are a fast-moving tidal flow through two narrow, closely aligned gorges of the McLarty Range, located in Talbot Bay. The direction of the tidal flow reverses with each change of tide. As tides in the Kimberley can reach 10 m (33 ft), a peak tide gives rise to a significant difference in the sea level on either side of each gorge, thus creating a massive tidal flow into and out of each bay through these two narrow gorges and forming these truly amazing horizontal falls. Check out these flows through the gorge often measuring at 16 knots in flow speed. 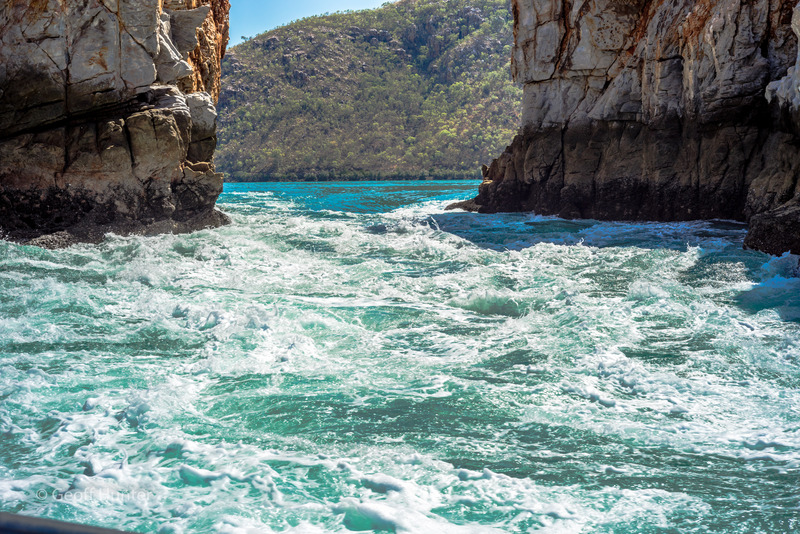 You can also clearly see the massive tidal height marks on the gorge walls – some of the largest tides in the world outside of Novascotia can be found in this part of Australia. That’s it from Broome and one of our most anticipated and eagerly awaited locations we’re visiting is next in our blog, Karijini National Park – approx. 580kms from Broome.